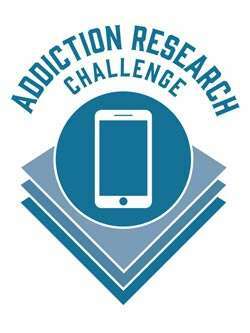 The National Institute on Drug Abuse (NIDA), part of the National Institutes of Health, today issued a Challenge “Addiction Research: There’s an App for that,” aimed at physicians and data scientists to develop a novel mobile application (app) for future addiction research. The Challenge requires that the app be explicitly created using Apple Inc.’s ResearchKit™, an open-source software kit designed specifically for biomedical and health research. The goal of the NIDA Challenge is to create an app to be used by addiction researchers in future studies which will help to improve the scientific understanding of drug use and addiction. The app will: allow researchers to engage “citizen scientists” and to recruit a large and varied number of willing study participants; present informed-consent materials; collect data frequently on a broad range of variables. NIDA encourages addiction researchers to use the newly available technical capabilities of ResearchKit™ and seek collaboration(s) with app developers and engineers to create the winning research app. The deadline for submissions to the NIDA Challenge is April 29, 2016. Winners will be announced in August, 2016. Three monetary prizes may be awarded: $50,000 for 1st Place; $30,000 for 2nd Place; and $20,000 for 3rd Place for a total prize award pool of up to $100,000. This NIDA Challenge is enabled by the Department of Health and Human Services (HHS) Innovation, Design, Entrepreneurship and Action Lab program. Other Challenge partners include: U.S. General Services Administration; Substance Abuse and Mental Health Services Administration; Centers for Disease Control and Prevention; Sage Bionetworks; Scripps Translational Science Institute; and IdeaScale. NIDA. "NIDA Issues Challenge to Create App for Addiction Research." National Institute on Drug Abuse, 3 Nov. 2015, https://www.drugabuse.gov/news-events/news-releases/2015/11/nida-issues-challenge-to-create-app-addiction-research. NIDA. NIDA Issues Challenge to Create App for Addiction Research. National Institute on Drug Abuse website. https://www.drugabuse.gov/news-events/news-releases/2015/11/nida-issues-challenge-to-create-app-addiction-research. November 3, 2015.